The deadly shark attack in Wellfleet, Massachusetts, has many people wondering if they can still safely go into the water. When a shark killed 26-year-old Arthur Medici at Newcomb Hollow Beach in Wellfleet on Saturday afternoon, it was the first deadly shark attack in Massachusetts since 1936. 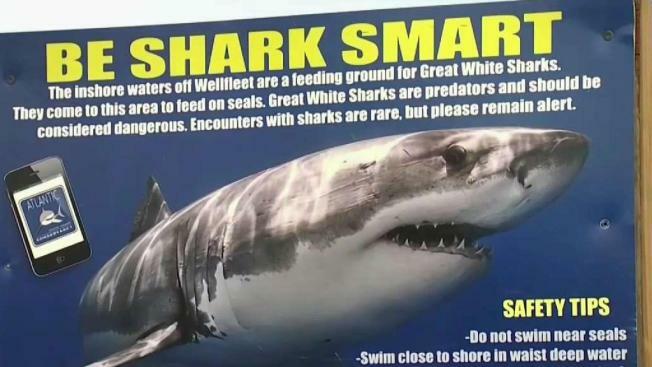 There may not have been any "no swimming" signs up and there hadn't been any recent shark sightings in the area, but marine biologist Dr. Greg Skomal said these days we always have to assume that sharks are in the waters off eastern Cape Cod. "I’ve seen a lot of white sharks out there. I’ve seen what they can do to seals and now what they can do to people, so we have to have a very precautionary approach," he said. Skomal said we need to stop thinking about how close the sharks are to shore and think more about depth of the water. A team of shark-lovers hits the waves to track and catalog the sharks that enter Massachusetts waters. He said when he’s out on the Cape with his family, he never goes beyond waist-high waters. Skomal said people who grew up on the Cape rarely remember seeing seals because they were nearly extinct before Congress passed the Marine Mammal Protection Act in 1972. Now, nearly 50 years later, there’s a healthy population of seals along the Cape, and that means a growing number of shark encounters as well “because there are so many in high density, it’s become what we call 'energetically profitable' for sharks to come into these waters and come feed on them." And with no silver bullet solution to the sharks feasting on the seals in the same waters where we play, Skomal said we have to be the ones who change. "There’s no way we’re going to change the behavior of seals, and no way we’re going to change the behavior of sharks, so the only thing we can change is ourselves - our own behavior - modify that." When Skomal and his team first started tracking sharks along the Cape, they focused on how many there were and where they were swimming. But he said now they’ll be concentrating on when they feed, the time of day and tide cycles in hopes of getting more information out to the public.